Following DNA analyses, the southern grayling H. aristeaus group was split up. The North African taxon is known as the African grayling H. algirica. 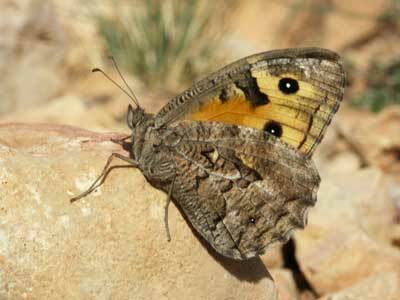 Identification & Similar species: This is the only grayling with an orange colouration in North Africa. Distribution & Flight: The mountains of North Africa. It's said to be common and widespread, but I've only found it on a few occasions. Habitat & Behaviour: Dry rocky grassy places. Seeks shade in the hottest part of the day.